Acoustic ‘Many Faces’ released today! We’ve released a beautiful acoustic version of new single Many Faces today. This was recorded before the show at Baths Hall in Scunthorpe in May and you can listen to it on our WeAreJamesTV youtube channel or streaming platforms. You can even buy a digital copy for your very own from Amazon or iTunes! Today we premiere the live video for our brand new single Many Faces. This was filmed at the Victoria Theatre in Halifax on the ‘Better Than That’ Tour of the UK in May. It was the fourth time the yet-to-be-released song had been played, by which point it had already become a fan favourite at the shows. Enjoy, and spread the word—as well as the sentiment. The band have been dashing up and down the country this week promoting the launch of the album, and you can catch up on some of the fruits of their efforts online if you missed the live broadcasts. 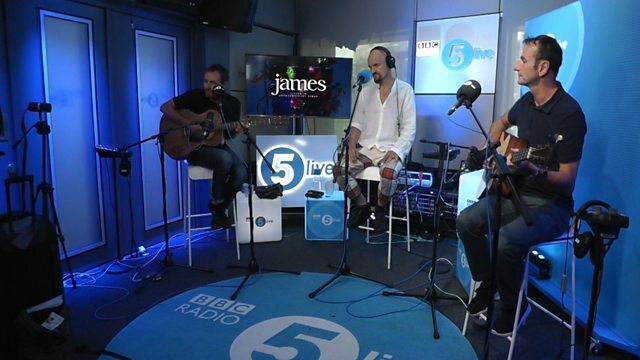 Download a podcast of the excellent in-depth interview from our visit to BBC Radio 5 Live. Watch the stunning acoustic rendition of new fan-fave Leviathan filmed in 5 Live’s Manchester studio. Listen to a very special Coming Home (Pt.2) performed in session on Radio 2 for Jo Whiley. 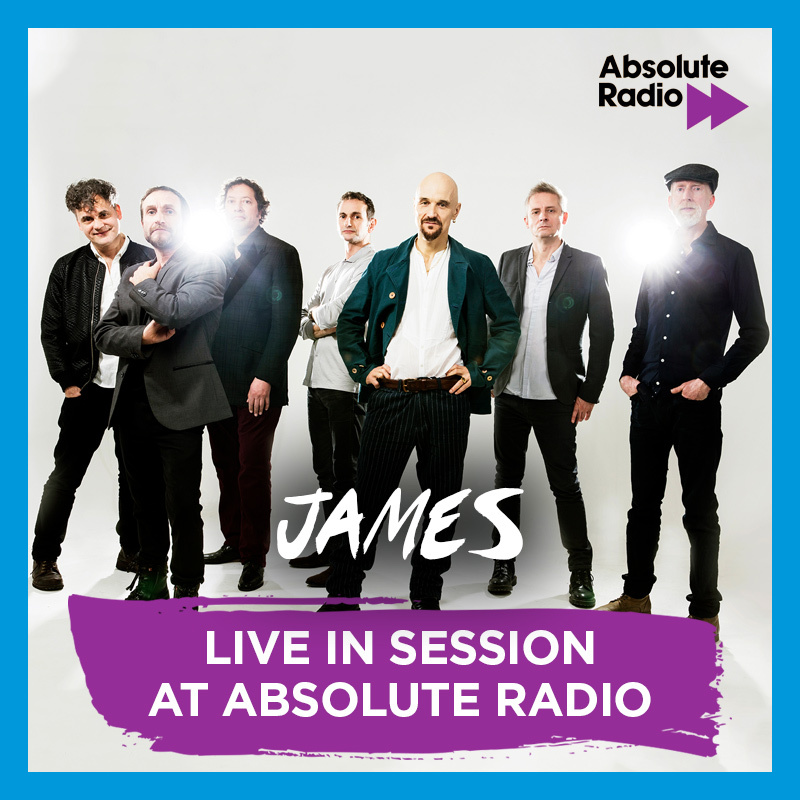 NEW: Watch four songs performed live in studio for Absolute Radio, including two from Living In Extraordinary Times. The band also joined Zoe Ball as her Sunday morning musical guests on ITV to play latest single Coming Home (Pt.2) and you can catch up on ITV hub here for the next few days. 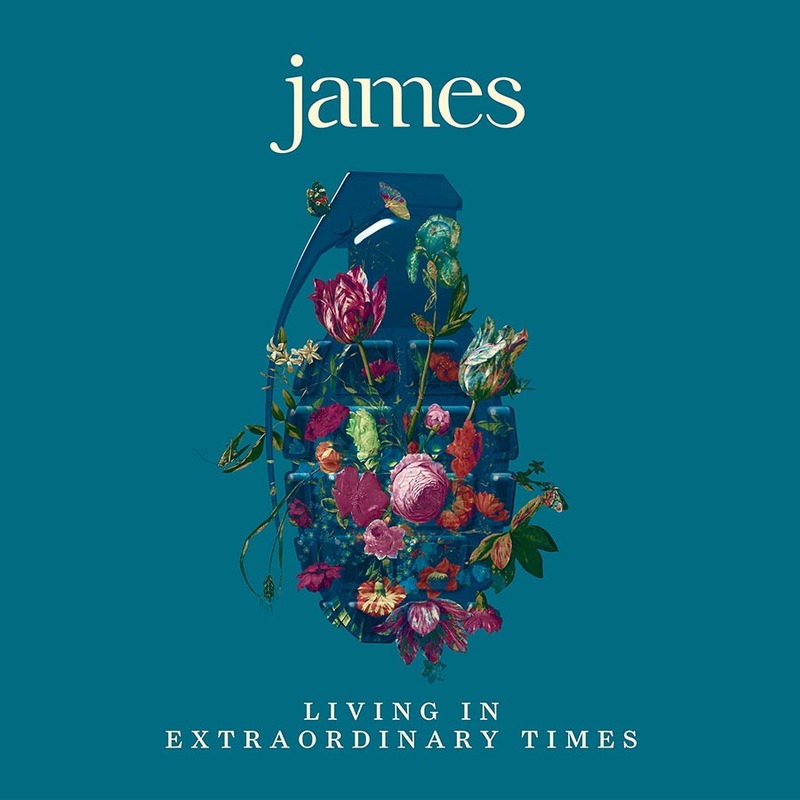 We’re also pleased to confirm that in addition to scoring an Album Of The Day from 6 Music on Monday to mark the release, Living In Extraordinary Times was chosen by Virgin Radio’s Tim Cocker as his Album Of The Week. Heading into next week, keep an eye out for the broadcast of the super little session we recorded for Absolute Radio this week which is currently due to air on Thursday the 16th. 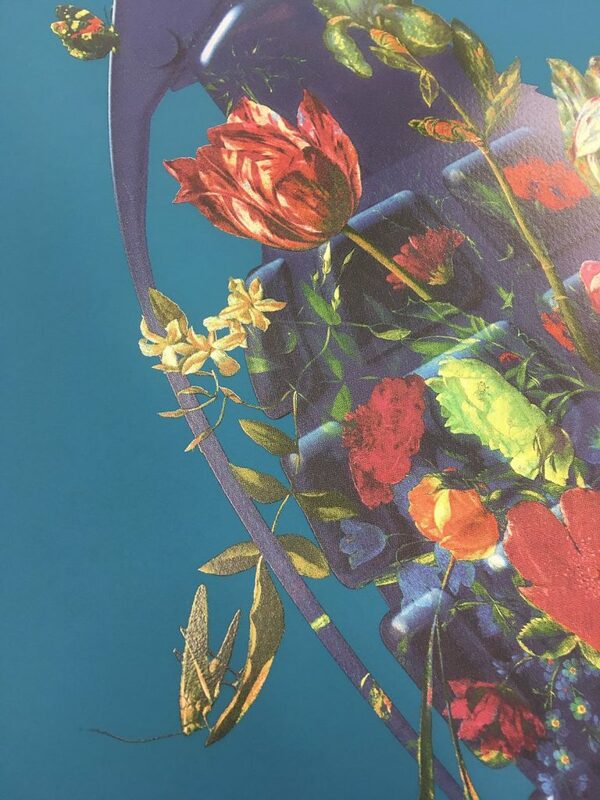 Magnus Gjoen, the contemporary artist behind the new album’s sleeve, has created an extraordinarily beautiful, ultra limited edition 8-colour screen print of the grenade artwork which will be signed by artist and band. A truly spectacular piece, 70x70cm and valued at £1500. There were 25 of these made. To celebrate the album launch there is ONE of these beauties going to a lucky winner at the end of the week. Visit the web shop to find out how to enter. Wishing you luck! Living In Extraordinary Times is out today! Overjoyed to present our new album today for your listening enjoyment! You can get your copy here or from your friendly neighbourhood record shop TODAY! N.B. If you order a copy (any format) from our web store this week – or have pre-ordered – you’ll be automatically entered into a competition to win a truly extraordinary prize, see the store landing page for details. Monday 6th August – BBC Radio 5 Live Session – Tune in from 1-4pm! HMV Manchester in-store appearance – 5:30pm. Some of the band will be signing the new album, playing a couple of songs (acoustic) plus a Q&A compered by Clint Boon. NOTE: HMV require that you buy the album in-store in order to attend this, sincere apologies to all our loyal pre-order customers on that front. Tuesday 7th August – Session for Jo Whiley and Simon May on Radio 2! Tume in from 5-8pm. Wednesday 8th August – Tune in to Shaun Keaveny’s programme on BBC Radio 6 Music to catch an interview with a couple of the boys. Album of the Day on 6 Music! 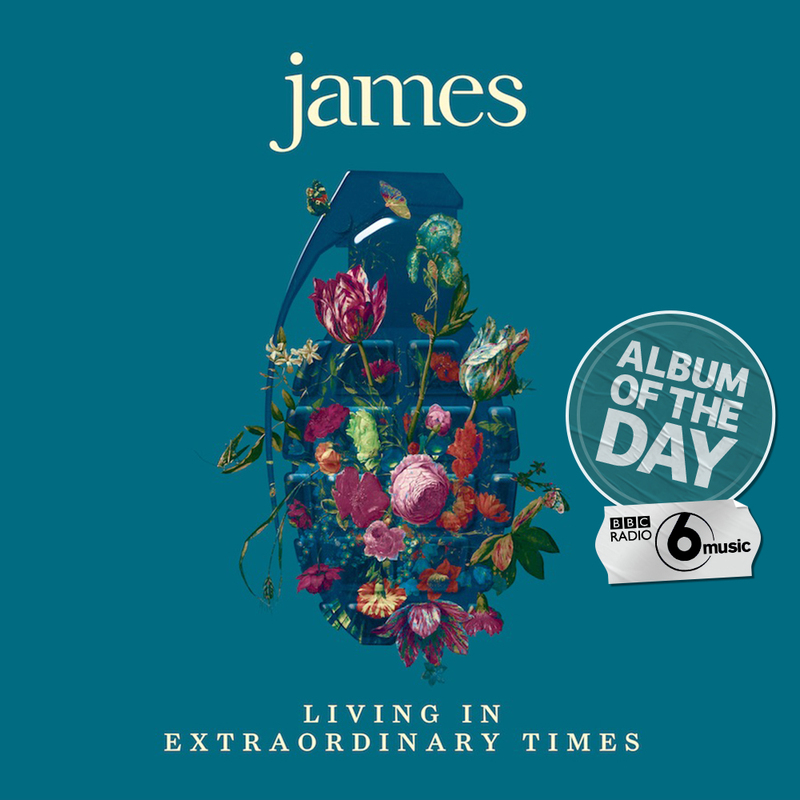 Delighted to report BBC Radio 6 Music has named Living In Extraordinary Times their Album of the Day! Listen throughout the day to catch songs from it played. Absolute Session coming up – fancy being in the audience? Next Tuesday lunchtime, we’ll be dropping by the Absolute Radio studios in London to record a session in front of a small audience. Absolute are giving tickets away for the next 3 days, so tune in tonight, tomorrow and Thursday for a chance to win. You can register online here as well to boost your chances. Note the age limit is 16+ (under-18s accompanied by an adult) and you’ll need to be able to get to Golden Square, London W1F 9DJ by 1:15pm on Tuesday 7th August to attend – please enter only if you’ll be able to make use of the tickets. The session will be broadcast on Thursday 16th August, be sure you tune in for it. It was a joy on the May tour to see ‘Many Faces’ become such an instant crowd favourite, and the spontaneous singalongs—for a brand new unreleased song, no less!—were something to behold. Delighted to finally be able to share a studio recording of it with you today. 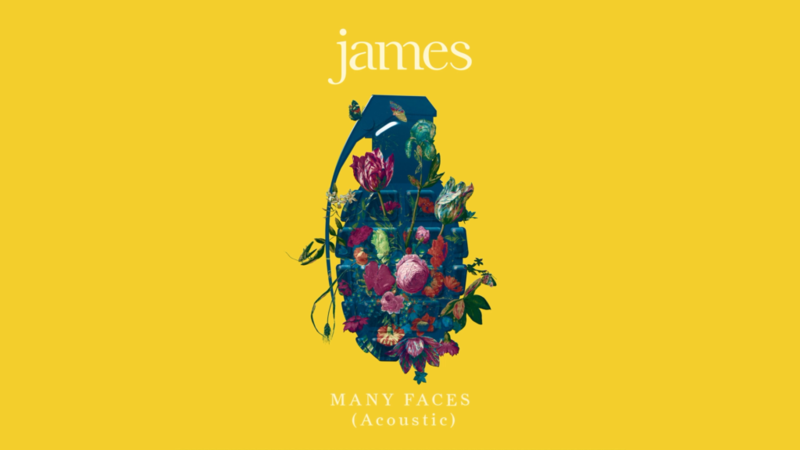 The radio edit of Many Faces is here on WeAreJamesTV for your listening enjoyment, and if you pre-order the album (or have done already) from either our official shop partner or from iTunes, you’ll get a free instant download of the song (as well as Coming Home, Hank and Better Than That). You can also now watch the track’s commentary video featuring Tim plus producers Charlie Andrew and Beni Giles chatting about the song on TM Stores’ James landing page. 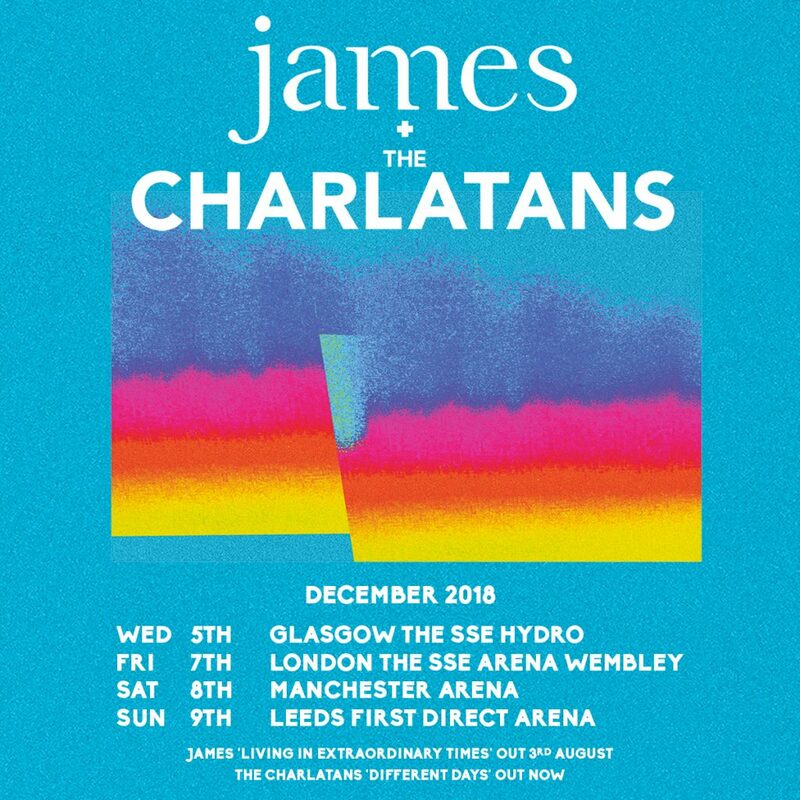 The return of James + The Charlatans! “We are pleased to announce our four big shows playing with The Charlatans in December 2018. These follow on from the success and sheer enjoyment of our December 2016 gig together at Liverpool Echo Arena. It was a pleasure and a privilege to play with them then and that sentiment is repeated here. It’s a great double bill. ‘One plus one equals three’ as the great Peter Rudge puts it. So get your tickets early to prevent disappointment. See you there folks.” — Jim from James. Special fan pre-sale starts Wednesday 18th July at 9:30am via the James web shop. The ever popular VIP Soundcheck packages will be available in the pre-sale too. Tickets on general sale the following Friday. Please watch and enjoy on our WeAreJamesTV youtube channel.